Our footbridges are both durable and timeless in design, made for both urban and remote environments. 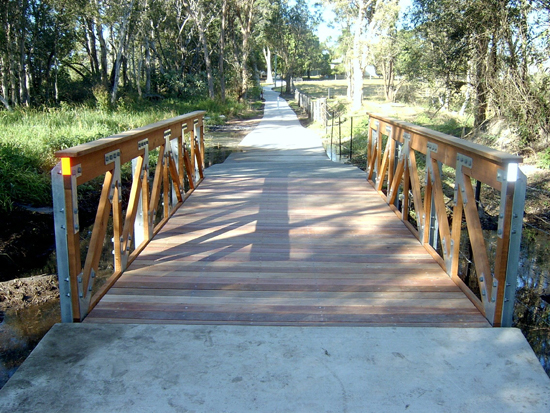 We manufacture pedestrian bridges that are in use across Australia, and have stood the test of time. Our bridge designs are easily maintained, aesthetically pleasing, engineered structures. Footbridge projects can be complicated at the best of times, if you haven't been involved in the design and installation of a footbridge previously it can be very confusing and frustrating! 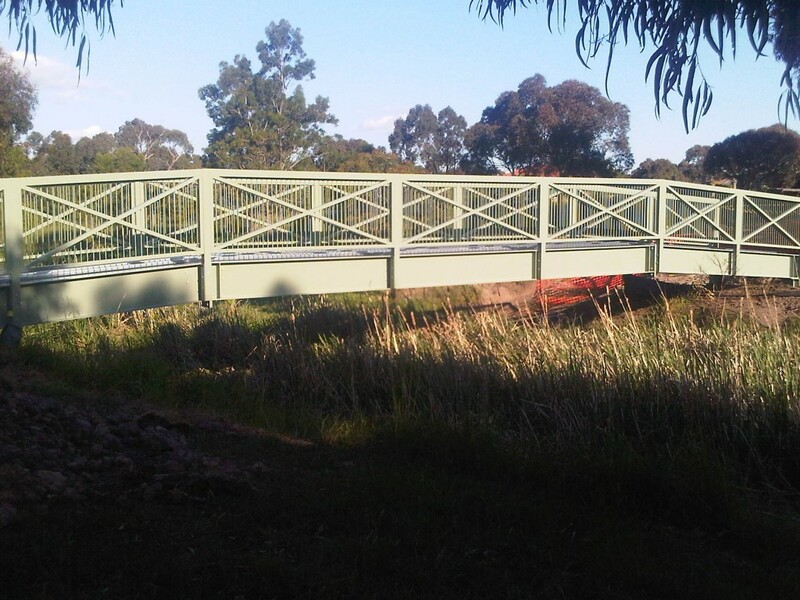 At GRDC, we are specialists in the design and construction of pedestrian footbridges and have years of experience in a variety of installations so let us take the hassle out of your next footbridge installation! We can manage your entire bridge project from obtaining water authority permits through to design and installation options giving you the most economical and practical solution for your specific project. 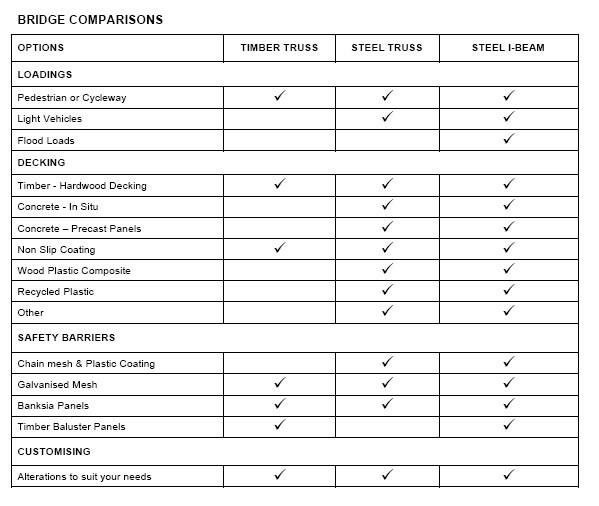 The tables below will give you an idea of what design will suit your needs which are available in a combination of widths and spans providing you with a long lasting durable asset.